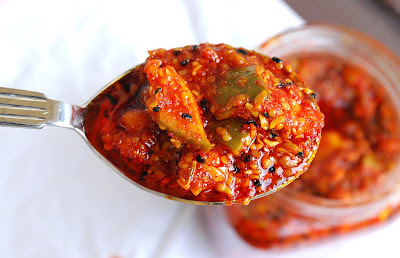 Raw Mango pickle is super easy to prepare, spicy and uses sour raw mangoes which give it an amazing flavour and is made from home-made spices. 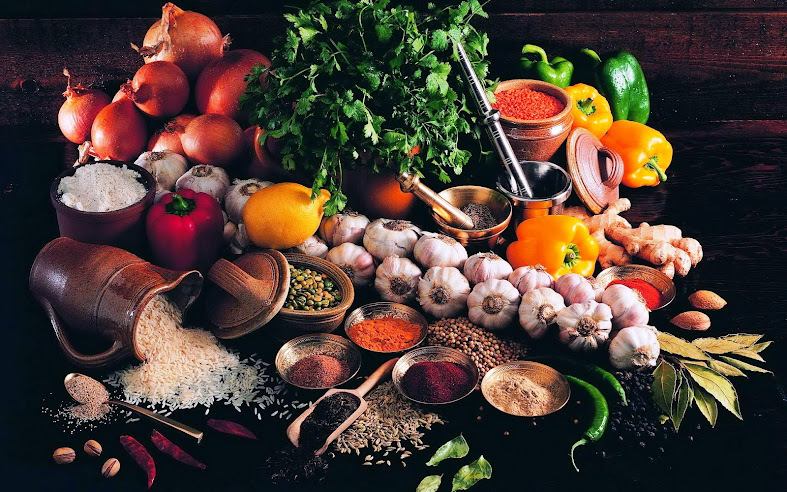 Pickle making process can be a very task, if you have the right guidance and the perfect recipe procedure. 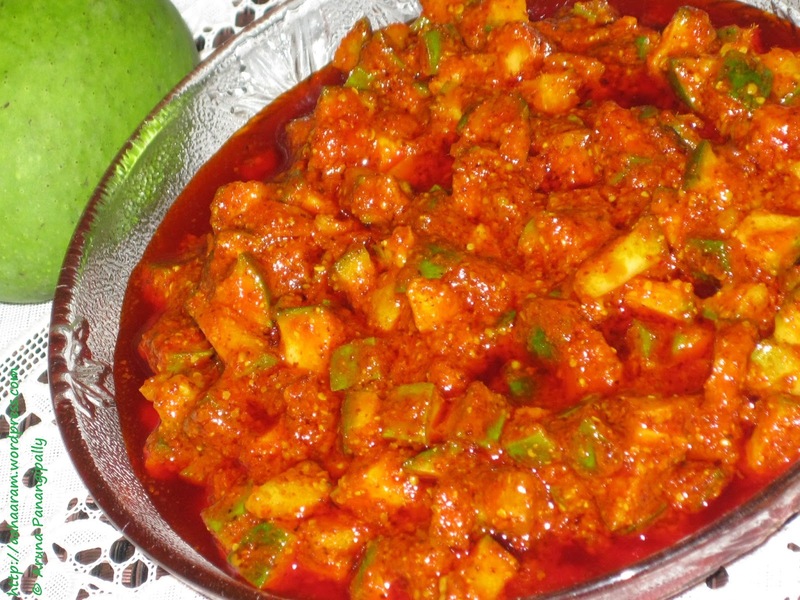 This Raw Mango pickle will stay good for a month, if refrigerated and handled properly. After 1 hour add the oil [Heated and cooled] to the prepared mixture. Add the Raw garlic. Leave it for a day in airtight container and can use from next day. Let the container stay for 2-3days [In between you can use the pickle] so that the Mangos absorb the spices and salt added. Later store in refrigerator to preserve the crispiness of Raw mango and more shelf life.